Mardi Gras is undoubtedly New Orleans' most well-known festival. Nonetheless, visitors to the Big Easy would be remiss to overlook the city's countless other lively and buzzing celebrations. New Orleans plays host to more than 130 festivals a year, celebrating just about everything you can think of, from music, art, film and culture to food, drinks, holidays and good causes. Visitors seeking out a budget-friendly festival in New Orleans should look no further than the French Quarter Festival, which is totally free to attend. The four-day festival will run April 11-14, 2019, featuring music, food and tons of fun. 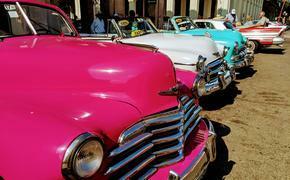 The epic event dates back to 1984 and has been gaining momentum ever since. Attendees can look forward to nearly two dozen stages throughout the French Quarter, including a new stage for 2019 on the riverfront moonwalk across from Jackson Square. 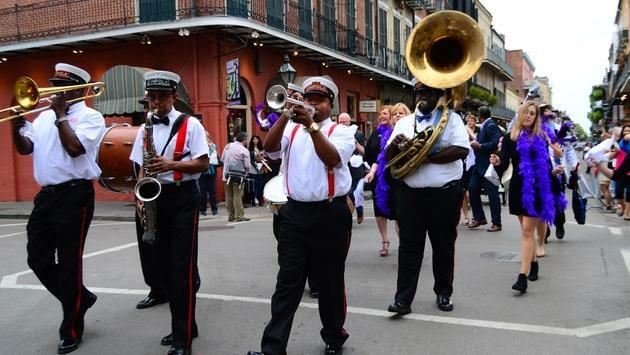 The fun kicks off with a parade on Bourbon Street and includes dance lessons, lectures, crafts, art vendors and even a STEM zone for children while foodies can treat their taste buds at the "world's largest jazz brunch" in Woldenberg Riverfront Park. The French Quarter Festival is just one of many highly anticipated free events visitors won't want to miss this year. 2019 also marks the 50th anniversary of the beloved New Orleans Jazz & Heritage Festival, which returns for two long weekends this coming spring from April 25-28 and May 2-5, 2019. In addition to delicious local cuisine, one-of-a-kind crafts and entertaining cultural showcases, attendees will have a front-row seat to a star-studded lineup of artists, including The Rolling Stones, Dave Matthews Band, Katy Perry, Jimmy Buffett, Chris Stapleton, Pitbull, Santana and Diana Ross, among others. Even if you miss spring's French Quarter Festival and New Orleans Jazz & Heritage Festival, a summertime stay will prove every bit as rewarding. The revelry rises with the temperature and visitors can also take advantage of the lowest hotel rates of the year at properties like the Royal Sonesta New Orleans. Plus, this year marks the 25th anniversary of the Essense Festival that was made increasingly popular through its starring role in the movie "Girls Trip." Taking place Fourth of July Weekend (July 4-7, 2019) at the Mercedes-Benz Superdome, this year's festival promises to be the largest to date and will include stellar live R&B, hip-hop and jazz performances as well as live beauty tutorials and curated shops, among other highlights. For more information on New Orleans' unparalleled lineup of festivals and celebrations, contact your travel agent or visit New Orleans & Company's website here.